Last month’s four-day Hasankeyf Ingathering marked the launch of an archival project to record images, sounds and other aspects of Hasankeyf’s tangible and intangible heritage, with a special emphasis on drawing and painting. Participants sat one morning at Zeydan’s Artuklu Café, some sketching the Rizk Mosque minaret, others focused on the Royal Pavilion or “smaller palace” at the corner of the Citadel. One afternoon we sat next to the minaret of the Süleyman Mosque and Tomb, with the great Koç Mosque in front of us. As we drew, children would gather around and adults would linger to observe: a picture in the making holds such fascination. This was the 5th Hasankeyf Ingathering, convened twice yearly since 2012 and drawing participants representing diverse professions: education, visual arts, journalism, advocacy, technology and more. There was ample time to explore Hasankeyf’s historical sites and natural beauty through a combination of hiking and sketching. On Saturday, our path circled around “Ra’s Tibbah” (the small mountain that forms the southern wall of the lower city of Hasankeyf), led us to a Shi’i cave mosque, water canals and mills carved into the cliffs, and then continued on to Derike Church, in the shadow of the Citadel. On Sunday morning, we walked upstream to Dera Vadisi, a secluded valley accessible from the bank of the Tigris River through a passageway cut through the rock. Monday’s hike led downstream past the remains of the Syriac Christian village of Atafiye and then uphill to the long-abandoned Mor Aho Monastery, where we enjoyed a spectacular view of the Tigris Valley bounded by the Raman Mountains to the north and the steep slopes of the Tur Abdin Plateau to the south. At mid-day on Friday, our first day together, we sat quietly in the Salihiyye Gardens, observing an hour of silence in honor of the victims of the Soma mining disaster. Later, we walked behind the Citadel and stopped by the grotto tomb of Şeyh Sevinç, where there is a spring of therapeutic water. Throughout the long weekend, we shared ideas for attracting more people to Hasankeyf and generating additional contributions to the archival project (e.g., through week-long drawing workshops; developing an “inventory” of sites and activities to capture in different media; geocaching; incorporating yoga and/or other forms of meditation into the program). spectacular views of the Citadel. Home-stays and local immersion opportunities focused on cooking, gardening, herding, etc. An open-source process through which the people and friends of Hasankeyf can record memories and sketch a vision for the future. 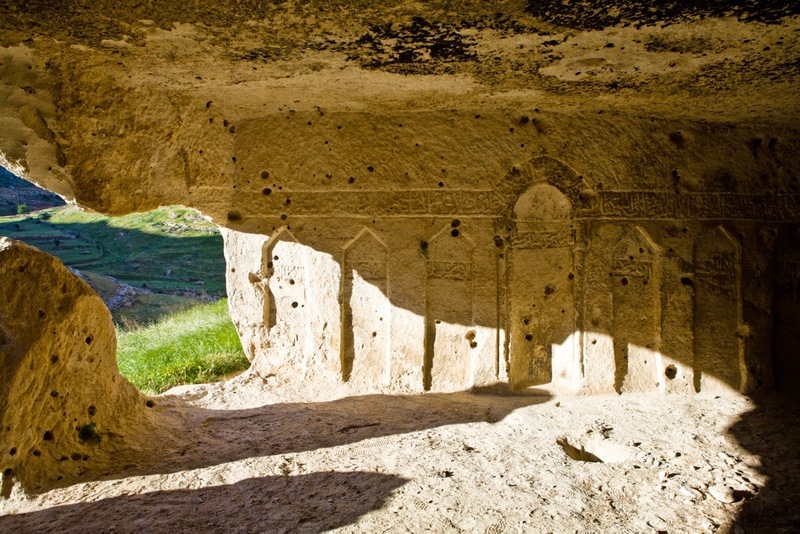 An occasion for decision-makers to look again at Hasankeyf and consider anew realistic, substantive and scientifically rigorous approaches to conserving the natural, archaeological and ethnographical heritage of Hasankeyf in balance with the demands of local, regional and national economic development. It all starts with people taking the time for a closer look at what hangs in the balance. Dear HM, Now we're really excited about this latest Ingathering. What a great activity to plan that gets visitors and residents looking closer and anew of the wonderful things around them. Plus, we think you probably had some pretty good drawers there as well. We also like your description of your vision of "conserving the natural, archaeological and ethnographical heritage of Hasankeyf in balance with the demands of local, regional and national economic development." Perfect. Thank you! We're excited too. Hoping to keep the good momentum going with more posts -- and projects -- soon.